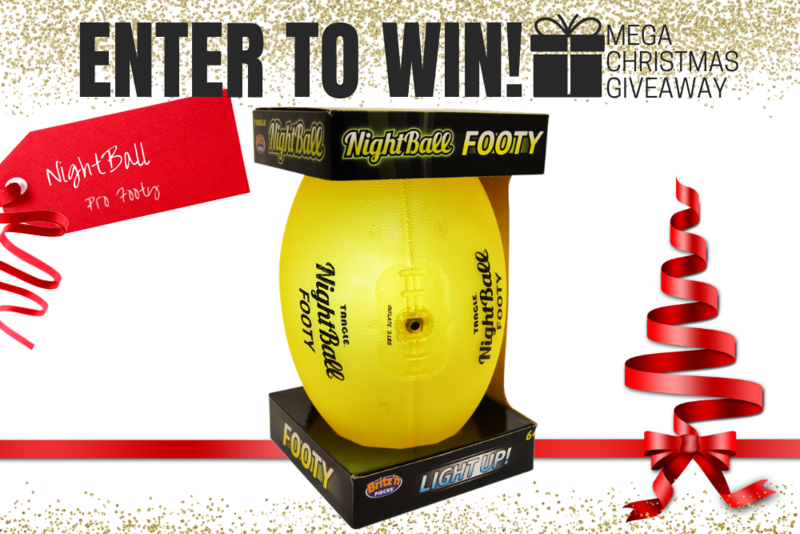 Shoot and score with the Nightball Soccer and Nightball Footy! With super bright LED’s built into each ball, it will amaze you as it bounces and travels through the air! Nightball allows you to play anytime, anywhere- Day or night! 1. **Nightball Footy. Total Prize Value $39.95** AUD (the "Prize"). 2. It is the responsibility of the winner to collect the Prize within 7 days of the end of the Competition Period from the Promoter’s Mornington office. 3. The Prize, or any part thereof, must be accepted as awarded and is non-negotiable, non-transferable to another person and non-convertible and is not transferable for cash. 4. The prize must be collected from the Promotors Mornington Office, unless otherwise advised.